Samsung Galaxy S5 is said to have a 5.25-inch AMOLED display, bigger than the 5-inch screen of its predecessor. Speculation is rife that this smartphone will be the first in the market to have an edge-to-edge display, meaning no thick bezels on the sides. The camera of Galaxy S5 is said to have a 16MP Isocell sensor, featuring technologies like optical image stabilization, slow-motion recording and 4K (movie hall quality) recording. Samsung Galaxy S5 is expected to come in two variants – one with a plastic body and other with a metal casing. The fingerprint scanner is one of the most widely reported leaked features of Samsung Galaxy S5. Much like Touch ID sensor in iPhone 5S, this scanner is said to unlock the smartphone with a swipe and record biometric data. Samsung is expected to make Galaxy S5 smartphone resistant to both dust and water. Galaxy S5 is likely to be launched preloaded with Android 4.4, the latest version of the operating system. It has been reported that Samsung will use the latest Qualcomm processor, Snapdragon 805, in the Galaxy S5. Reports have claimed that Galaxy S5 will use new multi-hovering technology, aimed at improving users’ 3D gaming experience. The hovering technology will enable the smartphone better identify multiple finger movements from 3cm away from the touchscreen. Samsung is said to have improved the eye tracking technology it introduced with Galaxy S3 to now track the user’s head. 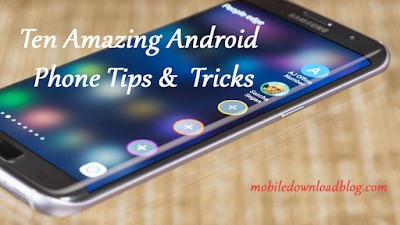 With this, users will be able to browse web pages by moving their heads on the Galaxy S5. Samsung is expected to use a 3,200mAh battery in Galaxy S5, compared to the 2,600mAh battery of Galaxy S4.